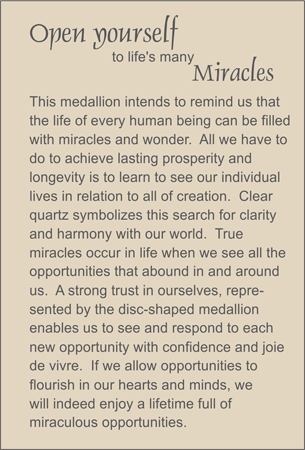 MEDALLION: Rose quartz disc medallion representing our ability to grow from small beginnings to reach out in all directions. COMMENTS: Meditate with this during breast cancer treatment. Miracle also comes in classic size. Scroll down to see.